On the other hand, I will forever complain about it. Too many changes. Too many lost friendships. And, in the end, too much guilt (but that’s another story). This particular story continues what we started several weeks ago and ends with a topic that may be more relevant for at least a small segment of our community. When we last left off, I was a renegade violinist taught using traditional methods yet highly encouraged to think outside the book. This education style, unfortunately, was among the first casualties of the move. Thrust mid-year into a new environment – the pros say the best time to move children is mid-year as it gives them a chance to make friends before summer vacation – the new school’s violin teacher without hesitation began teaching me the Suzuki method. You can imagine my reaction. But this was no “60s” thing. I wasn’t rebelling for the sake of rebelling. I simply didn’t like change and didn’t like someone telling me I was incapable of doing anything. (Even at that age I wasn’t afraid to fail as long as it moved me closer to achievement.) 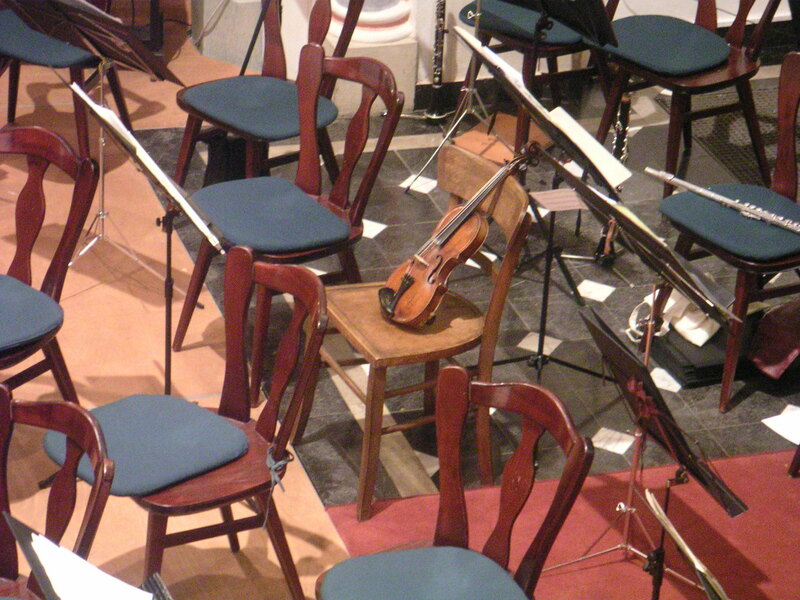 The new school did have something the old school didn’t – an orchestra. I enjoyed my role as second violinist because Orchestra meant playing something other than Suzuki. Then I discovered most of the second violinists were hacks. Then I discovered I was placed there because my practices weren’t going well. Needless to say, my interest in the violin began to wane. But my parents remained steadfast. I needed a full-size violin (Miss Avalon had convinced my parents to buy me a pretty good violin in third grade, but the ¾ size no longer fit my growing body.) My father knew a violin maker and hired him to make a violin for me. It cost $125 in 1972 dollars (the first one cost $75 in 1968 dollars). That wasn’t chicken feed for a young family like ours – and I knew it. Things improved when my teacher discovered I actually enjoyed the violin, it was Suzuki that irritated me. By middle school I was beginning to meet Miss Avalon’s expectations. My various teachers encouraged me to play beyond Suzuki (although, officially, I was still in a “Suzuki” program), but they found I had the potential to anchor an orchestra. Was I the best violinist? No. I was, as they say, a “mechanical” violinist. That was a nice way of saying I was tone deaf, but in a consistent way. I may start on an off-key note, but all the other notes were also off-key in precisely the same way. In other words, I played all the notes on the music sheet, only I played them in a different key. Using a football analogy, I had the raw talent to be a quarterback; I just need to improve my technique. The teachers helped me improve my technique. The challenge was to get me starting on the right key note. Then, in ninth grade, I was offered a break I never expected. At the time, Gates-Chili High School had one of the area’s premiere musical orchestras. This was because it had a strong and robust string section. Here’s the catch, unlike brass, woodwinds, and percussion, the heart of the string section were the adult music teachers. On very rare occasions, (as in, I was the second student ever asked), a student violinist would be invited to participate in the musical orchestra. (It was more common for students to fill the positions of violist, cellist, and bass, but not violin). I could see in the faces of my fellow Spartans (i.e., Gates-Chili students) the signs of anxiety, grief, and outright imitation. Well, heck, the last thing I wanted was for these prima donnas to show up my friends. So I went public with something I never showed anybody before. I rummaged through my violin case and pulled out my arrangement of The Beatles’ Eleanor Rigby. I had written parts for all the string instruments. We pulled up a group of chairs and started playing. The soloists stopped, one by one, and gathered around us. It was a sound they never heard before – and they loved it! They wanted to know where the music came from and how they could get it. When I told them I wrote it, a stunned look overtook their formerly arrogant faces. This transformation erased any self-doubts my classmates might have had. Finally, as a renegade violinist further emboldened by the fact I was a high school senior, I constantly complained about the Beatles medley arrangement presented to us for our spring Orchestra concert. The teacher at the time, Mr. Dilmore, frustrated as he continually was by my antics, made this off-hand comment: “If you don’t like the ending, you write one for us to use.” He was kidding. I thought he was serious. Several weeks later, when we played the medley before a packed auditorium audience, we used the ending I wrote. Events, opportunities, and ardent adult support gave me a chance to approach (but never fully attain) Miss Avalon’s high expectations. As a freshman in college, the day before my audition for the Bach Orchestra, I dislocated my fourth finger playing football. In a cast, I missed the audition. I’ve never played formally again. End Note: Many years later, I had a meeting at the Honeoye Falls Presbyterian Church. I entered the wrong room and I recognized a familiar face – Herman Dilmore – the “Mr. Dilmore” from my high school days. I said “Hi!” and he responded cordially, but I doubt he remembered me. Still later, while trying to find music for my children as they were learning how to play the violin, I pulled out my very first (and still favorite) violin book. It was the book Miss Avalon gave me. I noticed the name of the author. It was Herman Dilmore. Thank you, Mr. Dilmore, where ever you are.